Import, export, copy, update any prices. Create new from existing. Plugin allows you to import, export, update, copy/update any type of prices. You can change easy any type of price, create new price using another type of price (amount or markup). You can use two columns plain CSV file (product key and price) for import prices too or advanced format. 1. Export. Plugin generates a simple CSV (comma separate value) file. The file consists Id, SKU, GTIN, Manufacturer Part Number, Price, Price Cost, Old Price, Special Price, Tier Price list. 2. Import. Plugin allows to import prices from the file using different product keys (Id, SKU, GTIN, Manufacturer Part Number). You want to import prices to your another store. Product has the same SKU in each store. You can import prices using SKU. 3. Import. Plugin allows to import only selected type of prices. You can import only Old Price values. 4. Import. Advanced mode. You can create new PriceCost using values from Price column. 5. Update. Plugin allows to update selected type of price for selected products. You can update Old Price for products from Ipad category with new value 13,66 (or set 10% markup). 6. Copy. Plugin allows to create new price using another type of price. You can create new Old Price using existing Price with 20% markup. 7. Plugin allows rounding numbers and allows adding 0.99 to each price. 8. 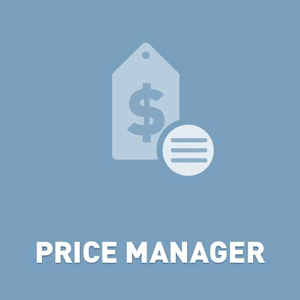 Plugin allows to create new Tier Price (support store and customer role). 9. You can use two columns csv file for importing prices (since 3.70). You can use such format productKey/priceKey. and you can use price/productCost/OldPrice/SpecialPrice aspriceKey. Unregistered version is fully working. It has one limitation. It exports/imports/updates only 50 products. You can try it before buying. Compatible with NopCommerce 4.10, 4.00, 3.90, 3.80, 3.70, 3.60, 3.50. + added new feature 'Export extra parameters' (nop 3.90, 4.00). Plugin will export the name of product and URL of product in admin mode. + fixed bug with export method (nop 3.90, 4.00). + added new feature "select which parameters do you want to export"
+ added new feature - import start datetime and end datetime for tier prices in plain format too (nop 3.90, 4.00 and never). + added new feature - import start datetime and end datetime for tier prices in simple format (nop 3.90, 4.00 and never). - fixed bug for import/update tier prices for nop 4.00/3.90 (tier prices only for stores). + added support of new 3-5 columns format for simple import tier prices for nop 3.90. - fixed bug for import/update for nop 4.00. + added new parameter "Remove old tiers prices" for Import and Simple Import. + added new simple import format for importing tiers prices (read our documentation). + added new feature "update UpdatedOnUtc field when a product price or one of his tier prices are changed" link. + added new feature "Export Customer Role Id for Tier Prices" link. + added new feature. Updating the product combinations's price. - fixed bug for large import files. + added new feature "Import prices from two columns csv-files"
+ added new values "Store for tier price (source)" and "CustomerRole for tier price (source)"